It is not an easy job to market a new blog. If you want to grab the attention of the readers, then your blog must be interesting and unique. There are various online tools that you can use to promote your blogs the fast and easy way but you can also learn from successful sales professionals when it comes to targeting the right people. The best sales people only go after the sales they are confident they can win and don’t waste time on the unprofitable sales or those that they have no chance of winning. This approach is called “commitment based selling” – which simply means that you only spend time and energy going after the right people, those that will be interested in your blog, brand or product and bring in income in one form or another. Research a lot on what your users expect from you and develop your blog in that manner. If you really need to know what your users like, then all you need to do is refer social media and networking sites. To better know the thoughts of younger generation, you need to research social media sites. By following them, you can get a clear idea as to what your blog has to convey to grab their attention. You can also perform a SWOT analysis and understand the thoughts of young generation. 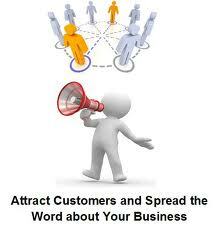 One of the best ways to promote your product is through word of mouth. Any product that comes into the market gets publicized among people through this method. If you want to promote your blog posts the same way, all you need to do is announce gifts for those who share your posts. Further, you can lure in visitors by providing free online services and through this way you can form a strong relationship with your customers. One of the best ways to develop blogs is to use an editorial calendar as it is very useful especially for novice bloggers. With the help of an editorial calendar you can make a note of the things you want to do such as when you want to write and what content you want to write, etc. In addition to this method, you can create your own themes by consulting important people in your organization. When you follow these methods, you can blog easily without getting stuck in the middle and develop your site. You can keep track of the things you do either by yourself or by hiring professional writers. Planning your steps in advance will help avoid any delays and your project will take its shape in the right way. Email marketing is the best method that you must implement to attract global audience in a short period of time. With the help of this tool, you can filter and group your customers based on location, demographics, interests, etc. Not only this, you can create your own brand designs and call to action buttons through Mailchimp and other cheap platforms available online. The best thing about these cheap email marketing tools is that you can use them with blogging campaign or individually. If you use the tools for a blogging campaign, you can also post newsletters on your blog. In addition to this email marketing tip, you can send free eBooks as email attachments and include interesting videos. Email marketing is a powerful tool that can help promote your business quickly and easily. By using this tool properly, you can reach global audience and include case studies, forums, and infographics to grab the attention of the readers. There is not a single person who does not like giveaways and that is why many sites provide a variety of items as giveaways to increase traffic and promote their brands. Through giveaways, you can not only attract customers, but also create a good bond with them. You need not spend a lot of money on buying expensive things as giveaways instead you can buy cheap and useful items at affordable rates. Reusable bags are one of the best gifts that you can present someone and you can give the bags with the logo of your blog. Not only this, you can boost your online presence by using eBooks and also provide free introductory coaching sessions to attract customers to your site. Further, you can approach local sponsors and get giveaways from there or you can conduct various competitions and contests and attract people to your site. Last, but never the least, you cannot ignore the importance of social media in the field of marketing. It is a wonderful tool that can help boost your business and it also acts as a platform where you can implement all your marketing strategies. 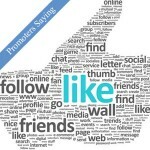 Responding to customer tweets and inviting them to your site will definitely boost your site. Not only this, social media will act as the backbone for your blog and you can find sponsors, get gifts and also introduce new products to your customers. You can easily create an account in any of the social networking sites such as Facebook, LinkedIn, and Twitter. As and when you post blogs online you must inform you followers. In addition to this, you must also update your customers with latest information about your blogs and other interesting content and attract them to your site. But attracting the to your site does not mean simply a basic 500 word blog post telling them something they have already hear 100s of times before in different ways. Internet users want something new so focus on longer posts (3,000 words is good) or shorter posts that focus in intense detail on a narrow topic. Try building up you own community of users by offering specific advice and answers to questions that they cannot find elsewhere. A perfect example of a successful community is the project management community at Parallel Project Training where trainers offer specific advice on sample exam questions and answers. This active project management community provides a useful resource for those studying for PM exams whilst raising the profile of Parallel Project Training. If you want to create a dynamic community, then social media would be the perfect choice. From blog owners to new business owners, almost everyone relies on social media tools for marketing their products/services without spending a fortune. All you need to do is have clear objectives and then you can start building your blog from scratch and reach the surging heights of success! Creating a blog is a cumbersome task and it takes a lot of time so you have to be careful not to waste a lot of resources and time. Attracting customers to your site is as easy as eating a pie as all you need to do is just browse through social networks such as Facebook and Twitter. You can promote your blogs the easy way by uploading interesting content and sharing your blogs with other users. Using forums and message boards you can start threads and also implement SEO techniques to increase traffic to your site. By using the right set of keywords, your site will appear in top results in all the search engines. This will in fact generate new leads and help in the development of your site. People love to read and share things that are catchy and interesting. You can capture the heart of the users by including multimedia content such as videos, graphics and pictures in your blogs. The attractiveness of the page, the content and the use of social media together can help you achieve positive results. If users find your content to be interesting, they will start sharing it on other social media platforms too. One of the important things about blogging is to add fresh content on a daily basis. 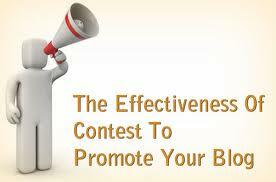 Adding new content every day will not only promote your blog, but also yield positive results. By using this method, you can make your blog stand out from the rest and attract thousands of visitors every day. A successful blog is something that all people love to visit often and you have to keep this in mind when creating blogs.